How do I set the tablet's volume button to map to this output stream (or whatever this feature is called)? 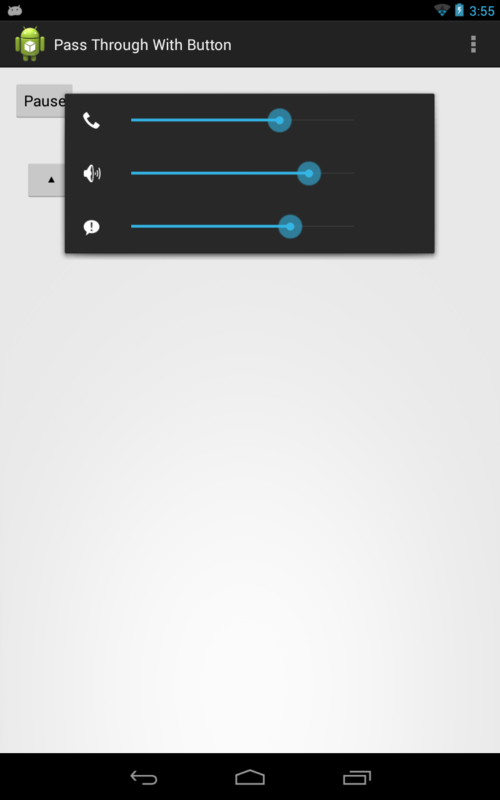 Suggests an audio stream whose volume should be changed by the hardware volume controls. Call it with the stream type you want the hardware buttons to modify the volume for while your app is in the foreground (e.g. STREAM_MUSIC), and then call it with USE_DEFAULT_STREAM_TYPE when you want to reset the behaviour to the default. By the way, the speaker icon does not represent the volume for the loudspeaker. At least the last time I checked, it represented the media volume (that is, all streams that follow the media routing strategy, e.g. STREAM_MUSIC). Not the answer you're looking for? Browse other questions tagged java android audio android-audiomanager or ask your own question. Change Media volume in Android? Can I intercept audio on a rooted Android?